Relocating within the US for a job can be challenging enough. Relocating to another country adds a whole new set of stressors. Some may be looking for a new job, while others are moving to advance in a career they already have. While living abroad for work can present amazing opportunities to check things off your personal bucket list, learn about new cultures, and broaden your network, it also comes with a long list of challenges. Shipping your household items overseas is one of those challenges. Researching housing, schools, and neighborhoods in the country where you will be moving is sure to be top on your list. In addition, securing visas and work permits, opening bank accounts and getting your financial and tax situations secured are also necessary. With all of this said, there is one very important thing that needs to be done correctly before you can even embark on the above-mentioned list. How will you go about shipping your household items overseas to your new dwelling place? 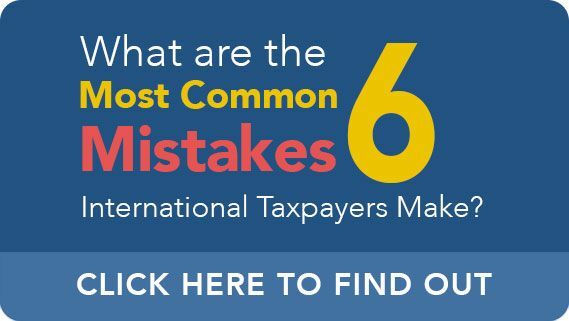 The IRS has strict rules for this process as well and it’s best to do it right. Beginning in 2009, the Foreign Trade Division of the US Census Bureau required all US Citizens who are shipping household goods and personal items overseas to obtain an EIN (Employee Identification Number) before shipment will be permitted to be exported from the US. While the task of obtaining an EIN may sound daunting, it is simple to do and it’s free. For purposes of applying for an EIN for filing your export information with the US Census bureau, select “Sole Proprietor” as the legal structure. Then click continue. Again, select “Sole Proprietor”. Then click continue. Confirm your selection by clicking “continue”. This page requires you to select a reason for requesting an EIN. Any of these reasons can be selected. Make your selection and click “continue”. Fill out the name, address and SSN fields. Select “Sole Proprietor” and click “continue”. Leave the field for Trade Name blank and enter United States as the country where the sole proprietor is located. Select your State of origin and enter today’s date as “Sole Proprietor Start Date’. Click the Continue button once. Enter “no” for the five questions on this page and then click “continue”. Select “Other” for “What does your business or organization do”. This should not be associated with your employer. Then click continue. Select “Other” as your business’ activity and enter “Fulfilling Federal Law Requirements” in the blank field. Then click “continue”. On this screen select “Receive letter online” and click “continue”. Review your data on this screen and be sure to print a copy for your records. Click “continue”. Your EIN number will appear on the following screen. Print your EIN conformation letter from this screen and save for your records. Now that you’ve got this handled, you can check it off your list and move on to complete other tasks involved with moving abroad. With your household goods and personal effects on their way, you can start looking into fun things to do in your new community, places to eat and the best things to do on the weekends. Here is a helpful link on moving abroad from a client. For your US tax needs, rely on Ted Kleinman, CPA. Contact us today for a no charge review.